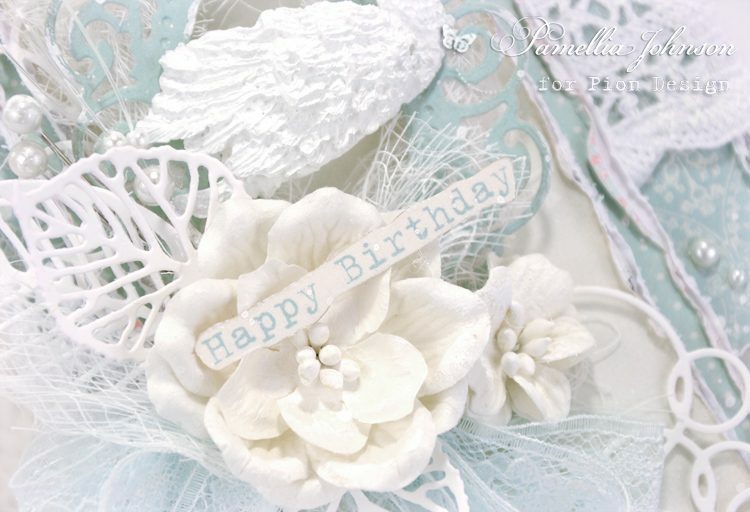 Today I’m sharing a birthday card made from the newest Pion Design collection “My Dearest Sofia”. 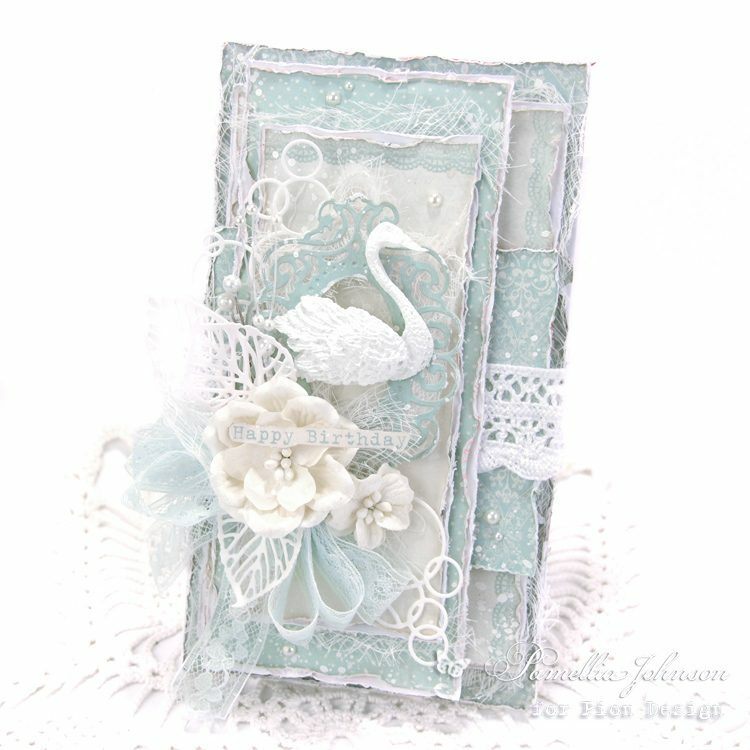 I just love the soft blue tones in this collection, they would work for any occasion, but I thought of a warm day by the water and a lovely swan swimming gracefully by. 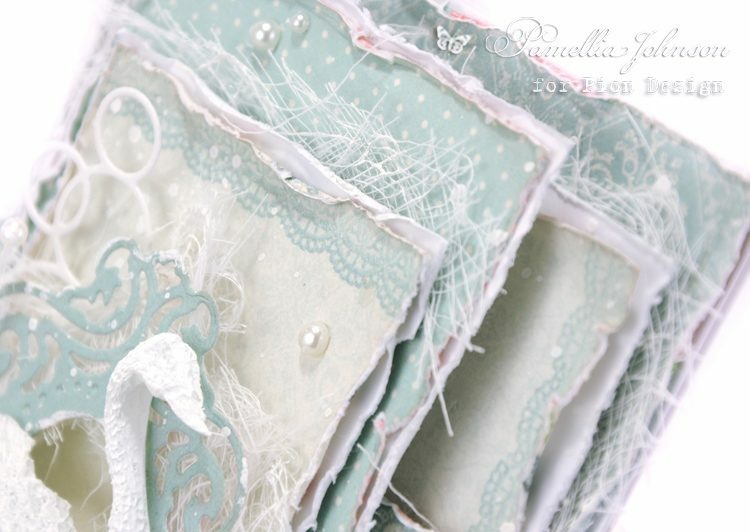 Lighter than air, and so lovely! What a beautifu and the colors so soft really WoW WoW WoW! !